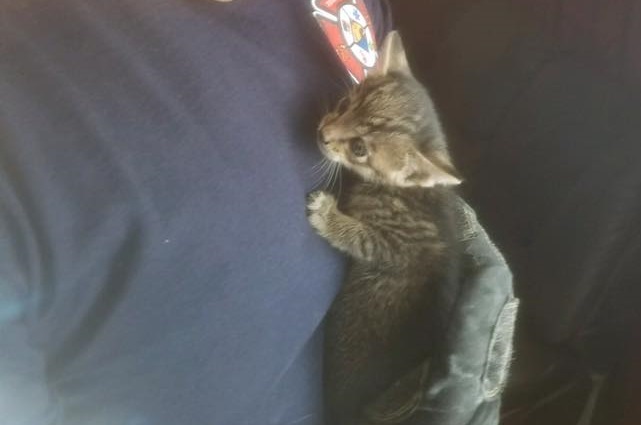 TITUSVILLE, Florida - A kitten trapped between a wall was rescued by members of the Titusville Fire Department on Monday. When firefighters arrived, they were met by the owner of the residence who had just evicted the occupants. Following the eviction, the owner heard a cat meowing from the inside of a wall. The firefighters were able to locate the entrapped feline by using their thermal imaging camera. Then crews opened the wall and safely retrieved the kitten. The kitten was turned over to animal services for evaluation and treatment.